2012 was a busy year for Alabama’s film industry. 31 productions were filmed in the state. The impressive list includes feature films, documentaries, reality TV shows and commercials. Together, they created over 3,000 jobs for Alabama and spent a total of $33.5 million, an increase of $11.5 million since 2011. This influx of filming activities has been spurred by the $10 million incentives approved by Alabama Legislature in 2009 when the state adopted the Entertainment Industry Incentive Act. Alabama will be even busier this year with $15 million allotted for filming projects in 2013. In addition to the financial incentives, the state also has other special programs to entice productions such as classes in camera operating, set construction, etc. Below are four movies we can’t wait to see that were made in Alabama in 2012. They’re all currently in post-production and will be premiering later this year. I love a good baseball movie (Bull Durham, Field of Dreams, A League of Their Own, The Natural,etc.) and it looks like we will have another one to join the list this year. 42 will be one of the biggest films to open at the 2013 Dallas International Film Festival next month (April 4-14). If the movie is anything like its trailer, it is a total must-see even if you’re not a baseball or a Jackie Robinson fan. But how can you not be? Baseball is as American as apple pies! Filmed at Birmingham’s historic Rickwood Field (among many other in-state locations), the production rented 200 hotel rooms during the three weeks of shooting. Visiting crew members also spent money in the community while working in town, said Greg Canfield, secretary of theAlabama Department of Commerce. The production also hired 600 to 700 local extras. All this local spending has helped boost Alabama’s 2012 economy. So yes ... again ... it is true. It is always a good thing to have a production filmed in your area. 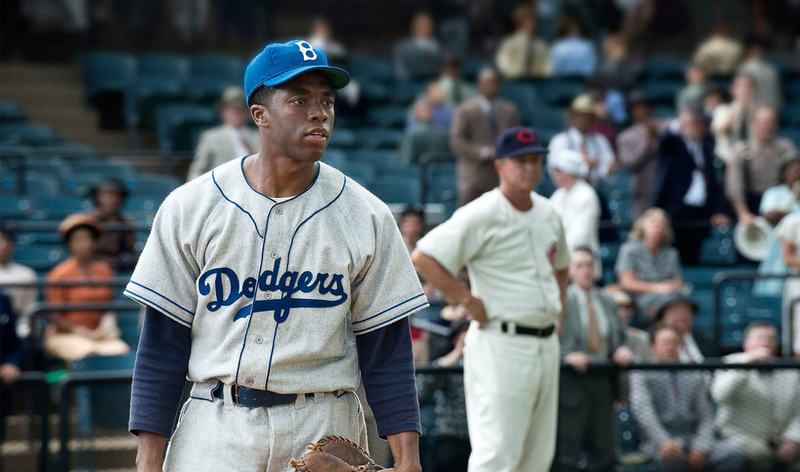 Directed and written by Brian Helgeland, the movie features Harrison Ford and Chadwick Boseman as Jackie Robinson. Directed by Brad J. Silverman and produced by Russ Rice, Grace Unplugged is the coming-of-age story of Grace Trey, a teen church singer whose raw talent lands her a re­cord deal in Los Angeles. Getting caught off in her new life and fame, she loses contact with her parents, includ­ing her father, a former rock star now leader at a small town Alabama church. AJ Michalka (age 21) plays Grace Trey. She has appeared in many other feature films includingSecretariat, Super 8, and The Lovely Bones. Filmed in Birmingham, Alabama, Grace Unplugged took advantage of the state’s tax incentives and rebates on filming expenditures. “The reason we got pushed here was for the tax rebate,” Rice said. In addition, the majority of the film crew comes from Alabama and Georgia, with only a few from Los Angeles. One of the scenes in the movie was shot with approximately 2,000 extras at the Alabama Theatre. Another scene was filmed at The Club, a private club with a gorgeous view of the city of Birmingham - doubling in the movie as Los Angeles. PHOTO CREDIT: Above photo of The Club is from its official website. If you’re interested in following up on the status of the movie, Grace Unplugged is on Facebook. They’re also currently looking for extras. 03.22.13 UPDATE: The above quote is featured on Grace Unplugged’s Facebook page. Another feature film made in Alabama in 2012 was Yellow Day. It’s the story of a young man on a quest to find the mysterious girl he lost contact with a year ago. The young man heads to Camp Grace where Yellow Day, a celebration he knows she never misses, is held each year. Once there, he quickly realizes that Yellow Day is not at all what he thought it would be. And does he find the girl? You have to watch to find out! Directed by Carl Lauten and produced by Robert Gros and Marsha Posner Williams, Yellow Daywas filmed in Mobile, Alabama. Many scenes from the movie were shot at the beautiful St. Joseph’s Chapel at Spring Hill College. In case you’re interested in finding out more about the film, here are a few behind-the-scene photographs taken at the college during filming. Space Warriors seems to be an updated version of 1986’s Space Camp. The movie centers around a group of middle school kids who get to attend NASA’s training camp for aspiring astronauts. Little do they know that their adventures will soon begin when they are faced with a real-life mission to save astronauts stranded on the international space station. Directed by Sean McNamara (Soul Surfer), Space Warriors was mostly filmed on location inside the Astrotrek building at the U.S. Space & Rocket Center in Huntsville, Alabama. The adult cast includes Thomas Horn, Josh Lucas, Mira Sorvino, Dermot Mulroney and Danny Glover. The young actors in the movie are Booboo Stewart, Grayson Russell and Thomas Kasp. Hall also credited the center’s staff for ensuring that Space Camp, Aviation Challenge and other programs weren’t affected by the filming. Nearly 800 youngsters took part in camps during the first week of filming, Hall said. “We made sure no child who came to camp lost any part of their experience,” he said. Space Camp is no stranger to Hollywood or the film industry though. Last year, it was also the film location for the Hallmark Hall of Fame made-for-TV family movie A Smile as Big as the Moon. PHOTO CREDIT: Above photo from A Smile As Big As The Moon is from here. After A Smile As Big As The Moon’s debut on the Hallmark Channel, attendance at family camps significantly increases. The movie had over 13 million viewers when it was aired on ABC and the Hallmark Channel last year. It also won top honors at the 21st Annual Movieguide Awards Gala in Los Angeles. After A Smile As Big As The Moon, Space Camp and Alabama became even more famous as a tourist destination, said Deborah Edwards Barnhart, chief executive and executive director of the U.S. Space & Rocket Center. No surprise there. Being a film location always puts the location on the map. In addition to the films mentioned above, there were many other independent productions approved for incentives in Alabama in 2012. Among these are sci-fi feature movies The Phoenix Rises and Home Front, both filmed in Mobile; thriller feature films Unknown Caller, filmed in Birmingham, and Oculus, filmed in Fairhope and Mobile; feature film LA Dirt, filmed in Fairhope; feature film Saving Harmony, filmed in Muscle Shoals and Russellville; and the documentary filmMuscle Shoals which captivated audiences at this year’s Sundance Film Festival. In addition to the feature films, Alabama is also the film location for many TV reality shows, including Sweet Home Alabama in Fairhope, Reef Wranglers in Orange Beach, Biggest Loser in Birmingham, Bamazon in Alexander City, and Rocket City Rednecks in Decatur and Somerville. For years, Alabama’s legendary southern hospitality has been a nurturing ground for art, theater, literature and music. The state has always welcomed the film industry with open arms, from small, independent shorts to big Hollywood film productions. In addition to all the above perks, Alabama’s extensive production and crew base, its diversity and film-friendly atmosphere, its convenient, accessible location - mountains to the north, beaches and bayous to the south, interesting towns and terrain in between, and its four distinct seasons, make shooting in Alabama a smart choice for filmmakers. PHOTO CREDIT: Above is a photograph of The Elms, a historic 6000-square foot home once operated as a cotton plantation for over a century. 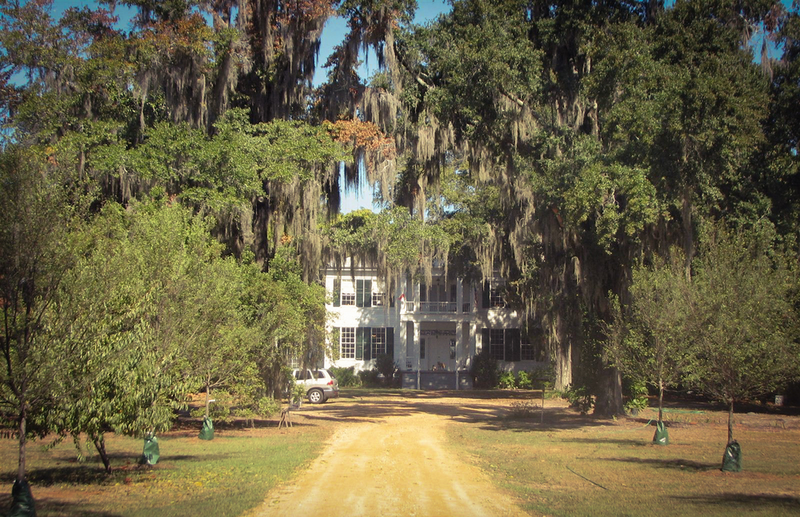 Built in 1836 by Absalom and Emma Hall Jackson, the original plantation covered 16,000 acres. Located on a very old road lined with enormous trees covered with spanish moss, The Elms is in Coosada, 15 minutes from downtown Montgomery. More information on The Elms, visit the Reel-Scout’s film location database. The Film Office’s website has detailed information on filming in the state. It also has a Location Owner’s Guide full of helpful tips for homeowners and property owners who are interested in renting out their property for filming. The Film Office is on Facebook in case you want to follow them for news and updates.